Understanding’ As A Vital Key to Relishing Marital Harmony! Home Christian Marriage Happy Marriage Love and Marriage Marriage Marriage Advice Marriage Tips Pastor Faith Oyedepo Understanding’ As A Vital Key to Relishing Marital Harmony! ‘Understanding’ as a vital key to relishing marital harmony. It means being able to comprehend your spouse’s behavior; being aware of his or her feelings; tolerant and forgiving. It can also mean a friendly and harmonious living. For every relationship to stride above difficulties, there must be adequate understanding between spouses. The Bible says: “And with all thy getting get understanding” Proverbs 4:7. Many have great marriage plans but lack understanding of themselves or their partners and so they disagree. Until you are in harmony with yourself, you can never enjoy marital harmony. How much of yourself do you understand? If you don’t have a good understanding of yourself, there is no way harmony can be your portion in marriage. Another aspect you must get understanding is in the area of male and female difference. It is important for male and female to understand and appreciate the peculiarities, which make your personalities. For instance, women enjoy: Companionship, Responsibility, Affection, Compliment and Compassion; while men enjoy: Respect (person/people/assignment), Presentable wife, Appreciation and Good food. Without an understanding of this, you might be laboring in futility. You must understand what marriage is and what marriage is not. There are several people who are married, who lacks the understanding of what marriage is all about. There are others who are not married, they want to get married but lack the understanding of what marriage is all about. What then is marriage? It is a union of a man and a woman in an exclusive, God-ordained, lifetime relationship. If you have this understanding no matter the challenge you face in your marriage you know that you and God are up to it. Marriage is a perfect union with imperfect practitioners. If you have an understanding of this, it will help you to enjoy harmony in your marriage. A wise man once said, “because God is the author of marriage, there is nothing you can add to it, all you need is to believe it and practice it”; and as you practice it, it will begin to work for you. It is a perfect union, God makes no mistakes, but the practitioners are imperfect. This will help you to walk with your spouse in marriage to enjoy harmony. Marriage is not just a means of getting what you desire, it is a means of meeting the needs of your spouse in marriage. It is God’s mystery for earthly dominion. “And God blessed them, and God said unto them, Be fruitful, and multiply, and replenish the earth, and subdue it: and have dominion over the fish of the sea, and over the fowl of the air, and over every living thing that moveth upon the earth” Gen 1:28. One will chase a thousand, and two will not just put thousand to flight but ten thousand. That’s God’s mystery for earthly dominion! So, when you get into marriage, you have a potential of minimum being ten times over better in all areas of your life. That shall become your testimony! Marriage is not the source of joy and contentment, God is! If you walk together with God in your family, He will begin to unfold to you via His Word and begins to manifest Himself in your home. I see God beginning to manifest Himself in your home much more than ever before. Your understanding of your spouse: For you to have harmony in your home, you need to understand your wife or your husband. You must get to know that everything about God is unique. There are no two people on planet earth that are the same exactly. You are unique and peculiar; so is your spouse and children. You are not a carbon-copy of anyone, you are original and so is your spouse. 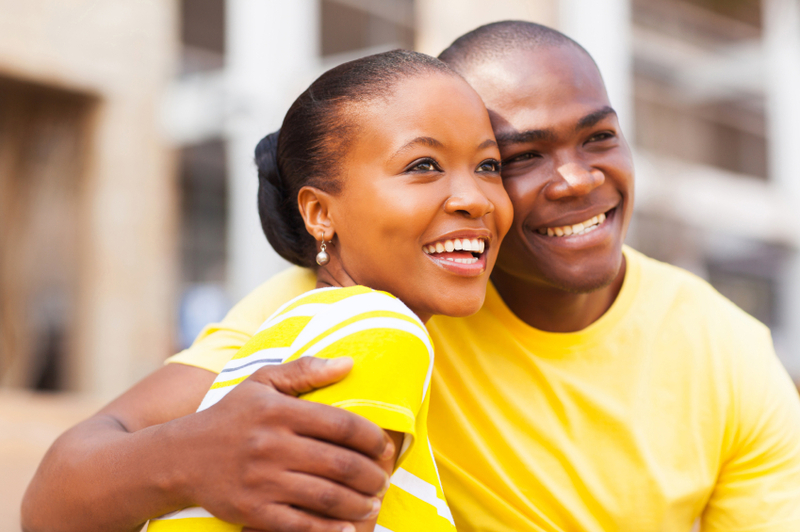 You must understand your spouse’s background if you must enjoy marital harmony. Understand his or her background, likes and dislikes, what makes him or her happy and what affects his or her mood. 1. You must be sensitive. Never you walk around with your eyes closed. Your mind is sound; be sensitive. 2. Communicate effectively. Communication is the life-blood of any relationship. Learn to communicate effectively with your spouse and when you know how to do this, it will help you to understand who your spouse is. You need to ask questions. The disciples of Jesus were around Him, they didn’t only listen to His teachings, whatever they didn’t understand they always asked and Jesus never told them shut up, He always answer their questions. So, rather than assuming that you understand, ask questions. Communicate so you can have a better understanding and when communication is effective, you are laying a solid foundation for marital harmony. Understanding is what is required to have an outstanding marriage.